Deep Roots is out today! You can find previews and giveaways on Tor.com. Thanks to the random number generator, the Deep Roots ARC goes to catsittingstill, assuming it can reach her in favorite city Tai-Tastigon. Thanks to everyone who entered--I'm now feeling homesick for even more cities and desirous of visiting even more! Deep Roots now exists in physical form, and I've got an ARC to share! Aphra heads to New York in search of long-lost relatives. But some of them have fallen in w/a dangerous--and not particularly human--crowd. Tell me your favorite city (real or otherwise) by Saturday night to enter. 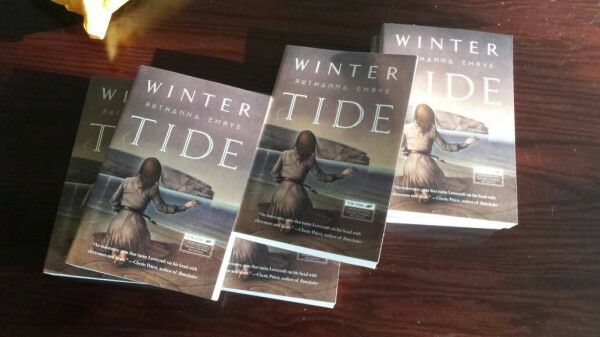 Through noon on Friday, you can get a free e-book of Winter Tide by signing up for the Tor.com newsletter--I believe you can still get it if you're already a subscriber. Over at the Lovecraft E-zine podcast, Anne M. Pillsworth and I talk about the Lovecraft Reread, our favorite weird fiction, and how to fangirl problematic things. I neglected to post here at the time, but the cover for Deep Roots and a short interview are up at The Verge. Deep Roots is coming out in July 2018, and contains creepy yet dangerously helpful aliens, Deep Ones attempting to navigate the New York City subway, and lots of takeout food. Awkward relatives and apocalyptic threats galore! Winter Tide is out in the world and making friends. The Hugos are almost puppy-free. And my town passed the first of two votes to become a sanctuary city in a landslide. I'm having a pretty good day. For Deep Ones, darkness is safety and comfort, the longest night a time of revelation. 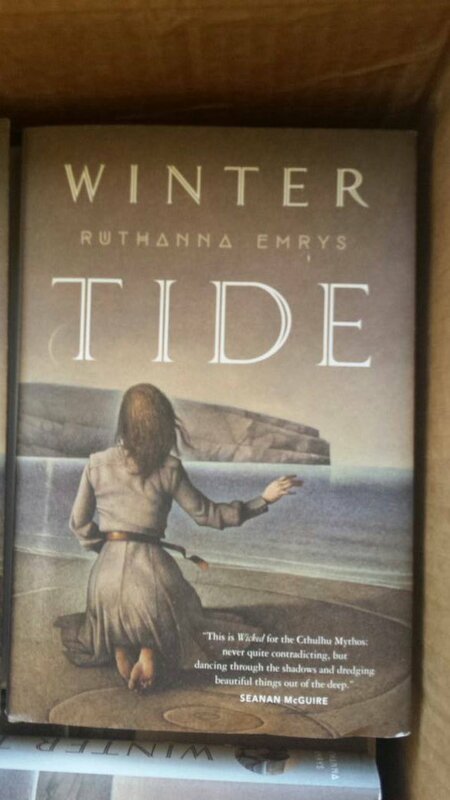 Honoring the hope of safety, comfort, & revelation, I’m giving away an ARC of Winter Tide for Winter Tide. Share your favorite made-up holiday tradition by 9PM on the 22nd, & I'll pick an entry at random (from here and from Twitter) to get a Winter Tide ARC. There may also be Deep One recipes tucked into the package, because it's dark and cold & people need feeding. @linsilveira on Twitter wins the ARC. Some of these monster questions are inspiring; there may be drabbles in the offing if I can find five drabbly minutes between editing and drafting on Deep Root. So basically next time I'm blocked because my aliens won't talk politics to my point of view character. But look what came in the mail today! I'll come up with clever plans for the rest later, but for now I just want to share my delight at finally having actual books, made of actual matter, with my name on John Jude Palencar's spiffy cover. So here's the deal. Between now and a deadline of Whenever the Baby Goes to Bed tomorrow night, tell me your favorite monster, and something you wish you knew about them. I'll pick an entry at random to receive an ARC. Fine print: I'm posting to Twitter as well; it's the same ARC and the same contest on both platforms. I'm willing to ship anywhere, but if you're overseas it may arrive on the very slow boat. Or quickly, but very wet and delivered by someone with gills.